Our smallest animals struggle to survive as the pressures of increasing population impact upon them. 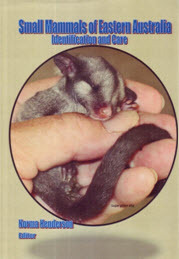 This manual includes information on Dasyurids including Antechinus, Bandicoots, Dunnarts, Phascogales, and Planigales. Rodents include our native Bush Rats, Swamp Rats, Water Rats and the tiny mice such as Hastings River Mouse, New Holland Mouse and many others and includes detailed descriptions on recognising the differences. Finally our smallest Gliders are included covering the Feathertail Glider, Squirrel Glider, Sugar Glider and the Pygmy Possum. Detailed information on feeding, housing, nutrition and release is included. An illustrated 185-page manual. It is the result of years of literature search and consulting with many rehabilitators both within WIRES and other rehabilitation organisations. 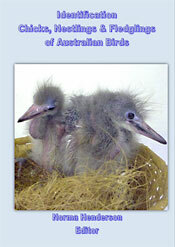 It is suitable for both new and experienced fostercarers, and indeed anyone caring for native birds. 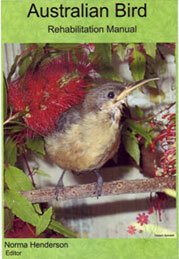 The aim of this manual is to be a quick-reference guide covering more than 60 species of birds. This manual is constantly revised and up-dated. Topics include identification, natural habitat, food in the wild, food in captivity for both chicks and adults, housing and handling, injuries and diseases, and release. This manual comes with over 200 colour photographs of chicks, nestlings and fledglings of native Australian birds and some introduced species. The photographs cover the different stages of development and the identification sheets and keys give more detailed information on weights, feathering, down, eye/foot/leg shape and colouring etc. Detailed information on identification, feeding and housing.